The Stoneborne are coming to Marina Bay Sands! 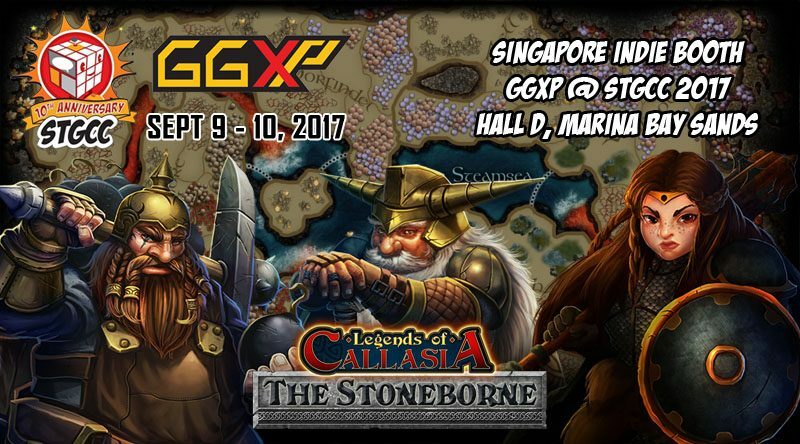 We will be showcasing Legends of Callasia: The Stoneborne at the Singapore Toy, Game & Comic Convention next week, September 9- 10, 2017. Visit the Singapore Indie Booth at the Good Game Experience (GGXP) in Hall D, Marina Bay Sands Expo and Convention Centre. Good Game Experience (GGXP) is the gaming arm of STGCC and serves as a home base to gaming fans. Jam-packed with exhilarating program of local & international gaming content, GGXP aims to be the platform for aspiring indie studios from Singapore and the region to showcase their work and also meet people from the industry that will give them opportunity to unleash their full potentials in the gaming industry.